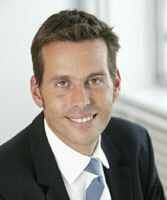 Liberty Global has appointed to the position of Managing Director of Unitymedia, Liberty Global’s cable operations in Germany, effective January 1st 2011. Schüler succeeds Gene Musselman who has been serving as CEO and who is retiring from his role as President and COO of UPC Broadband at the end of 2010. Lutz Schüler has served in several senior management roles with the Telefónica O2 group since 1998, most recently leading the integration of HanseNet Telekommunikation as its CEO in Hamburg.